Imogen's Typewriter. : (Late) Fiction Friday: Getting your Fiction Fix while Sick! (Late) Fiction Friday: Getting your Fiction Fix while Sick! These past few weeks I haven't been very well with a combination of tonsillitis and sinusitis, hence the lack of blog posts which I apologise for. And for this being two days late, I've pretty much been sleeping and eating and feeling like death so it took me a while to take the pictures! In my opinion, the worst thing about being poorly is being bored and poorly. But- what do you do when you can't read because your eyes feel like they're about to pop out of your skull? 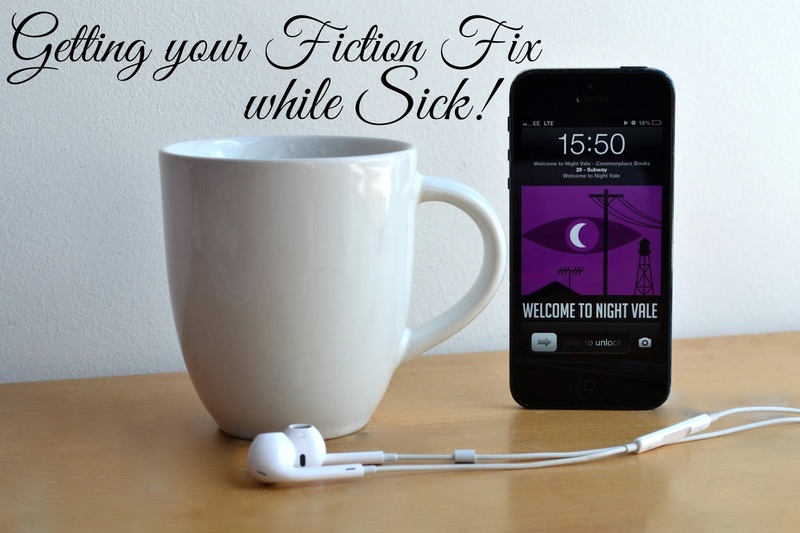 Here are my ways of getting your fiction fix even when you're not feeling great! Thank the lord for Harry Potter read by Stephen Fry. The past couple weeks I've listened to all of Goblet of Fire and have started back on Chamber of Secrets. However, I don't count these towards what I've read in the month because sometimes I fall asleep listening to it and miss out big chunks. I am reading the first book at the moment with a friend who has never read Harry Potter but that's a whole different blog post! 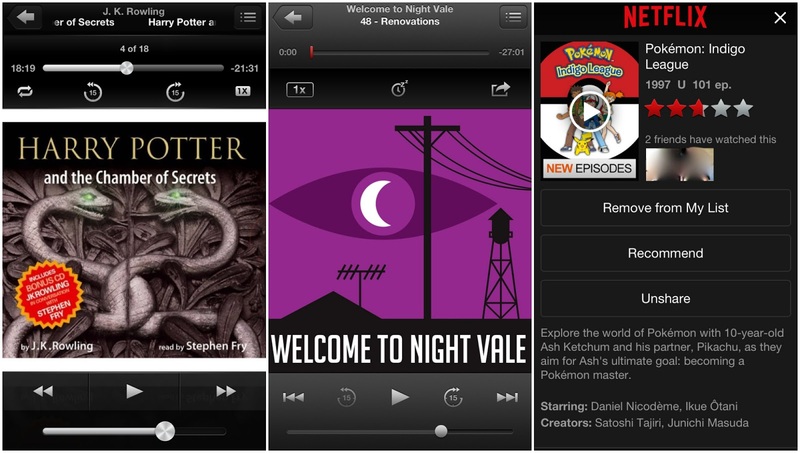 #2: Podcasts, specifically Welcome to Night Vale. I'm a big fan of Welcome to Night Vale, I think it's a really original podcast that's really interesting to listen to with it's short 30 minute episodes and unexplainable story. I'd say give it a chance, listen to the first one and I'm sure you'll be hooked. A must if you see mysterious lights pass overhead while we all pretend to sleep. #3: Nostalgia on Netflix in the form of Pokémon. 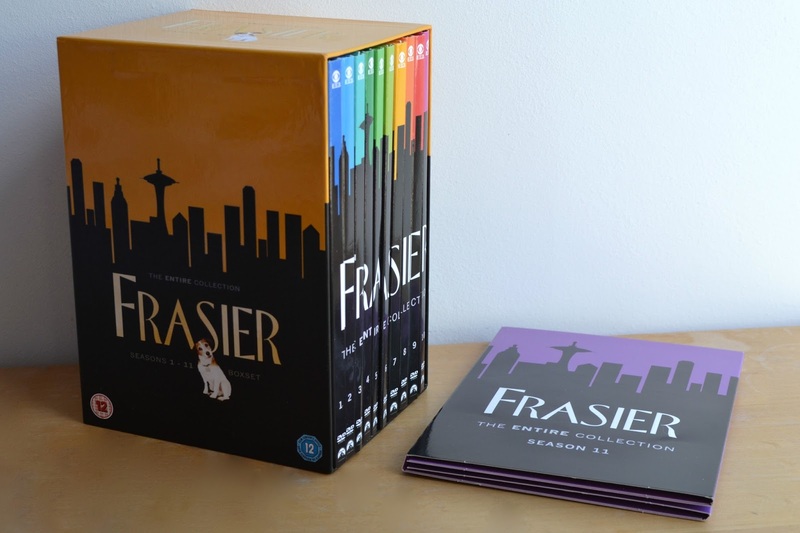 Frasier has been my 'poorly show' for years now, starting way back when I had a portable DVD player instead of a laptop and found the season 1 DVDs on a day off school. In fact I mentioned the DVDs in my Christmas Wishlist, the christmas specials in my Best Christmas Specials post and the DVDs again in my What I got for Christmas post! I have a love for radio, even though I don't listen to it much myself, and this show about a radio host psychiatrist is just what the doctor ordered while you rest. How do you get your Fiction Fix when you don't feel well?